Handbook of Games and Simulations in Teacher Education . Published 2014 . ISBN 978-1-9397-9706-3 Publisher: Association for the Advancement of Computing in Education (AACE), Chesapeake, VA.
Gibson, D.C., Knezek, G., Redmond, P. & Bradley, E. (Eds.). (2014). 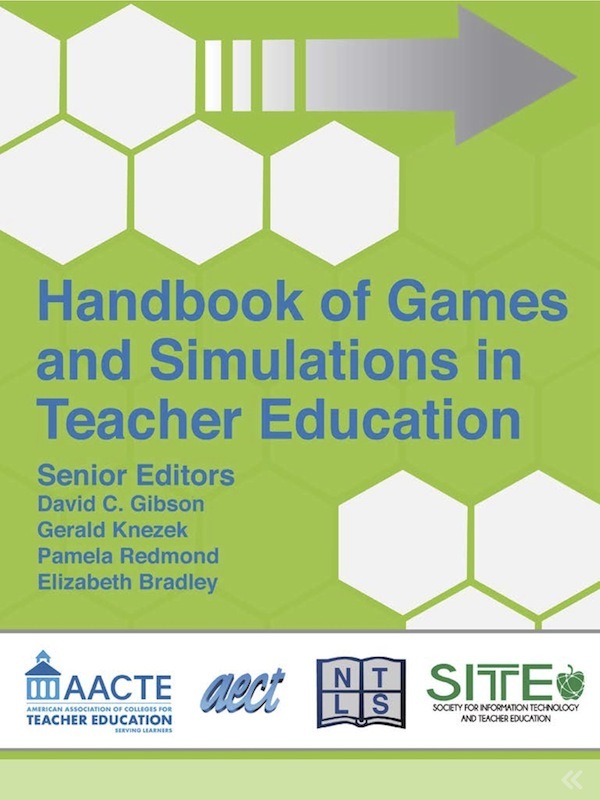 Handbook of Games and Simulations in Teacher Education . Chesapeake, VA: Association for the Advancement of Computing in Education (AACE). Retrieved April 24, 2019 from https://www.learntechlib.org/primary/p/147471/.